HomeWorldMexico Has Its Spyware. A Reporter Has a Few Phones to Juggle. Mexico Has Its Spyware. A Reporter Has a Few Phones to Juggle. All of the above, however, are in an ideal world. Twice in the last two years I’ve been sent on breaking stories from vacation, without any of my tech tools. Once was in Haiti in 2016, after a devastating storm. And again last year, after a spate of hurricanes that passed through the Caribbean. 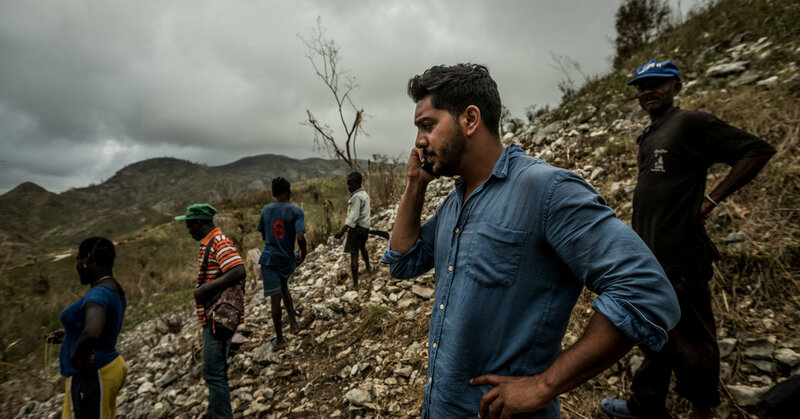 Despite Mr. Ahmed’s reliance on technology when working in far-flung places, he said he was not an ideal tech consumer: His phone is his only truly indispensable item. You’ve written about how journalists in Mexico have been targeted with spyware and other tech. How, from what you’ve found, does the government in Mexico use tech? The government has a long history of heavy-handed surveillance, and its use of technology is just the latest iteration of that. There’s no doubt it is using technology for surveillance, nor is there any doubt that it is paying exorbitant sums for it, as seen by various contracts made public and emails related to the government’s purchases of Hacking Team software that leaked a few years back. How the government uses the technology, however, appears far less sophisticated. I often wonder if it even has the manpower and resources to review all the material it gathers from surveillance operations. It has this incredibly sophisticated spyware, and yet most signs indicate reckless use without real material gain. Sometimes it can feel as if the government bought a Lamborghini to race around a go-kart track. What do you do, in broad strokes, to keep your communications secure? The least tech-forward thing you can imagine: I meet face to face with people. I tend to avoid messaging or talking about specific work targets on my main Mexican phone. I’m pretty sure I was sent Pegasus, the spyware purchased by the Mexican government, and though I’ve wiped that phone and replaced it, I’m cautious. I use the typical encrypted apps for communications and maintain several phones, which I use for different purposes. It’s annoying lugging all of them around, and I get funny looks at the airport when I toss three phones into the scanner basket. It’s also a pain keeping them all charged. How has the tech landscape changed in Mexico over the years? Is there a lot of tech start-up activity? Lots has been written about the booming tech scene in Mexico, in particular in the city of Guadalajara, which is the latest place to be given some kind of Silicon Valley moniker. There are a bunch of start-ups there, taking advantage of the tens of thousands of engineering graduates coming out of prestigious programs in Mexico every year. Is it a game-changer? I don’t know, to be honest. The entrepreneurs and officials here were trying to drum up support for recruiting foreign-born Silicon Valley engineers, to take advantage of President Trump’s immigration policies. Not sure that went anywhere past the headlines, though. What are the most popular kinds of websites or apps or gadgets in Mexico? Waze is especially popular in Mexico. In Mexico City, where I live, traffic is a force of nature. So if you don’t find the best way to get through it, you’re going to spend some nauseating hours stuck in the car. For me, and for a ton of others living here, Waze is essential unless you’re an old-school cabby who happens to know the city. Outside work, what gadget or software do you currently find yourself using a lot and why? I live a relatively low-tech existence. I’ve never been an early adopter of the latest tech “it” item; my phones are really the only technology I can’t function without. I did get a pair of Bose SoundSport wireless earbuds that are pretty awesome. The case doubles as a charging station, and they never fall out while I’m running. It’s also worth mentioning that they don’t look as ridiculous as the Apple wireless ones. As for apps: PayPal and banking apps to send and receive money and manage my finances, which can be a pain when living abroad. Find Friends is an app I got used to using in Kabul to track colleagues as they were on trips into dangerous areas. It gives you the GPS coordinates of anyone in your group who is using the app, to monitor his or her whereabouts. I still use that on occasion. Something has to be incredibly useful and life-altering for me to fold it into my daily life, and I haven’t found an app yet that I use every single day no matter where I am or what I’m doing. One reason is I don’t really have a fixed routine, given all the travel and the nature of foreign correspondence, where you are often in different places, covering different stories. The truth is I’m not really the ideal tech consumer. Firefighters revisit the scene of Armenia’s earthquake in 1988.